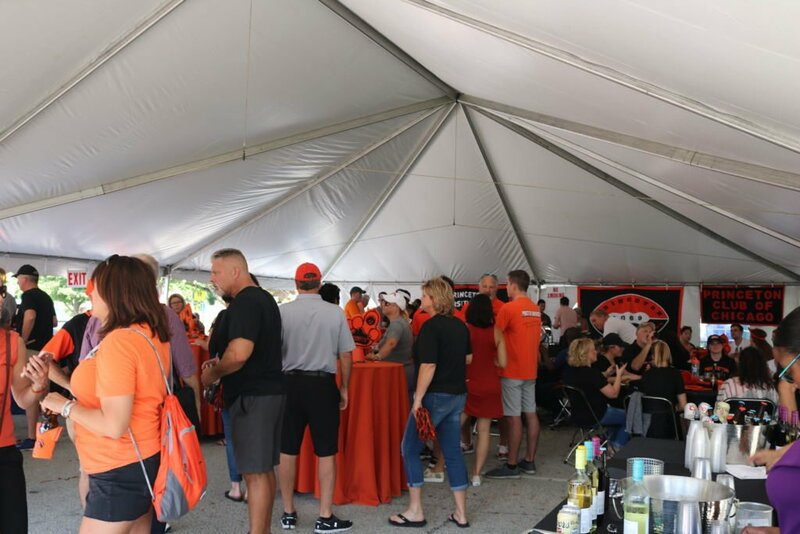 More than 200 Tiger alumni, friends and parents converged to Butler University on Saturday, September 15th to join the Princeton Varsity Club, Princeton Football Association and Princeton Alumni Association for pre-game festivities. The festivities didn’t end there, as Princeton Football treated everyone to a commanding 50-7 victory in the Sellick Bowl. A photo galley from the Tiger Tent Tailgate can be viewed here. On September 22nd, the PVC partnered with the Office of Community & Regional Affairs to host a free Youth Sports Clinic for children ages 5 to 12 in advance of the football home opener vs. Monmouth. The clinic was hosted by 200+ current Princeton Student-Athlete volunteers with over 15 different sports stations on Weaver Track. 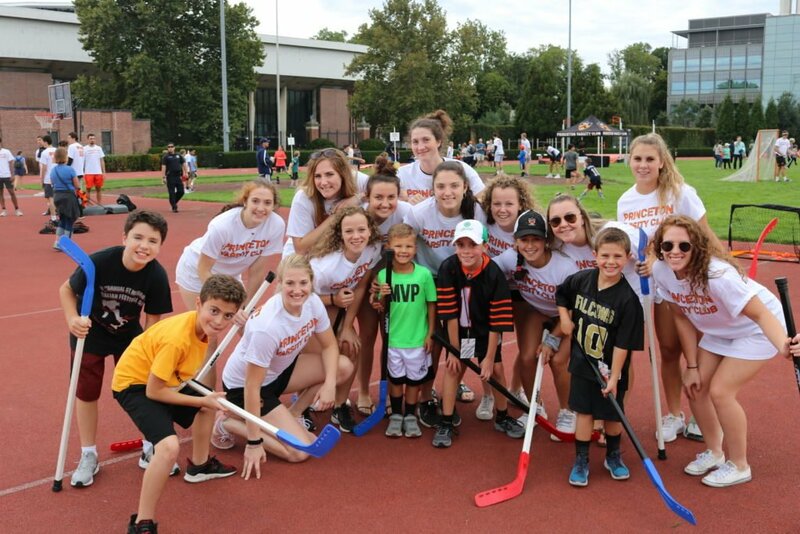 Over 800 members of the community attended and our student-athletes had a great time engaging with the youth in our community prior to watching Princeton football take down Monmouth 51-9. A photo gallery from the clinic can be viewed here. All first-years from Princeton’s 37 varsity sports programs were officially welcomed into the PVC with education on what programs the PVC offers and how to get engaged on September 24th. All captains were in attendance as well to recognize not only their leadership but to introduce them to how the PVC will be a part of their life when they graduate. 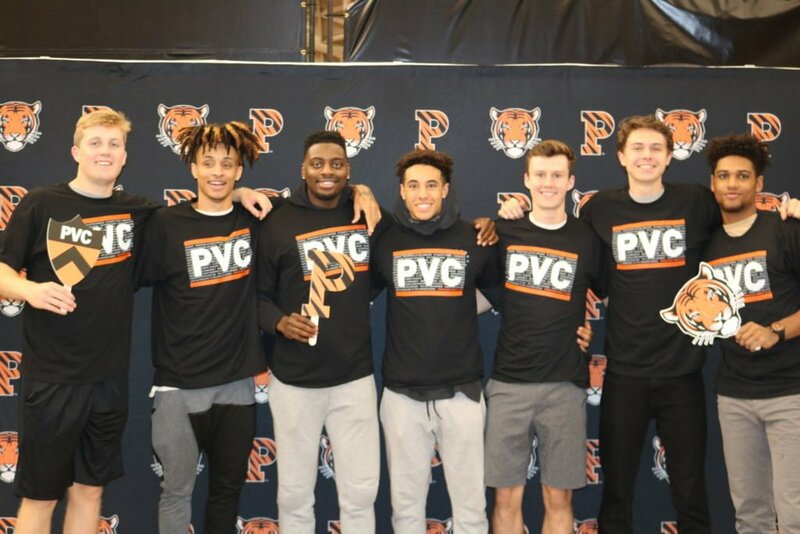 The night kicked off with a student-athlete DJ, a delicious BBQ dinner, and a 2018-19 Princeton Varsity Club exclusive t-shirt! A photo gallery from the BBQ can be viewed here. 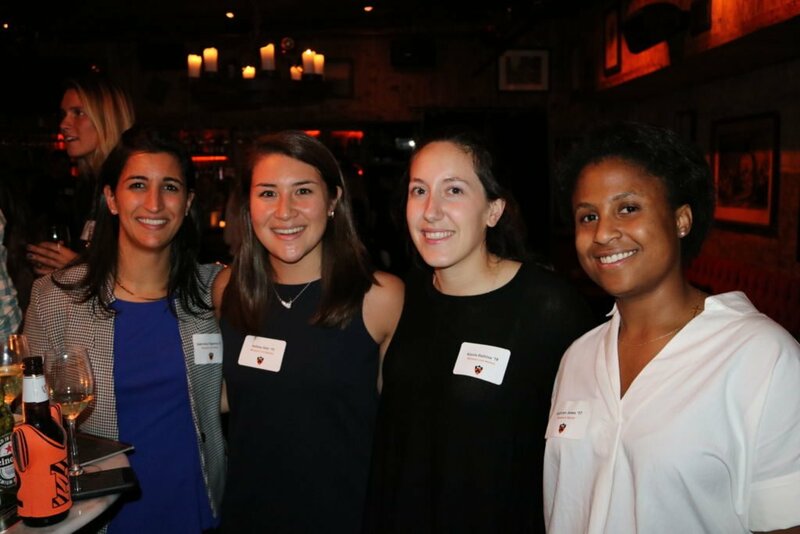 Over 50 student-athlete young alumni (’18 – ’03) gathered in New York City on September 27th for a PVC-sponsored evening filled with reminiscing, engaging, and networking about years wearing the orange and black. Co-hosts, Anthony Perna ’03 (Lifetime Member) and Libby Crowe ’15, gave valuable insight into their involvement with the PVC and how special it is to stay connected to the PVC. A photo gallery from the cocktail reception can be viewed here. 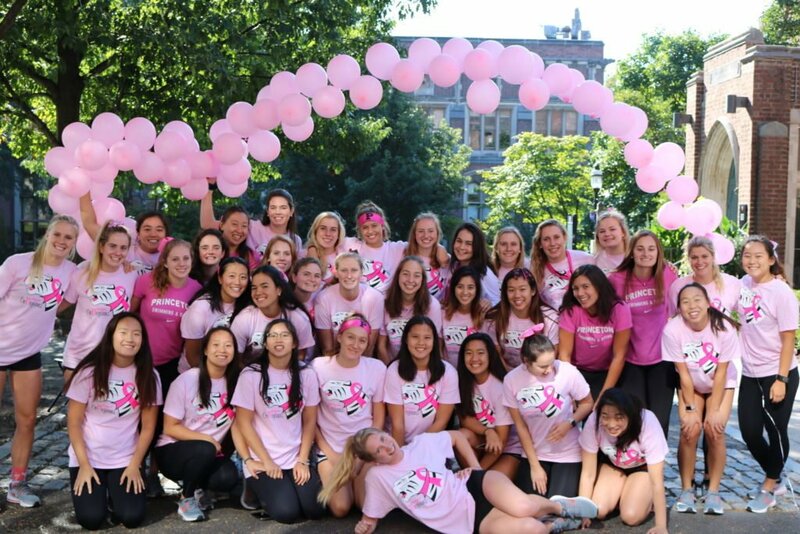 On September 29th, Princeton women’s swim & dive team, in partnership with the PVC, hosted it’s 11th annual “Collegians Find the Cure 5K Run/Walk”. The event raised nearly $4500 for the Breast Cancer Research Foundation which brings total money raised to over $34,000 over the past 11 years. It was a great turnout with many of Princeton’s varsity sports teams participating in the run/walk for an amazing cause. A photo gallery from the Run/Walk can be viewed here.